Protein supplement created for real athletes who want to jot down a visible increase in muscle mass. Included in the composition of the highest quality protein sources, so that your muscles will be ready to increase at any time necessary. High quality protein supplement which contains 25g protein and only 4 grams of carbohydrates per serving! It is directed to the real athletes who want to jot down a visible increase in muscle mass. 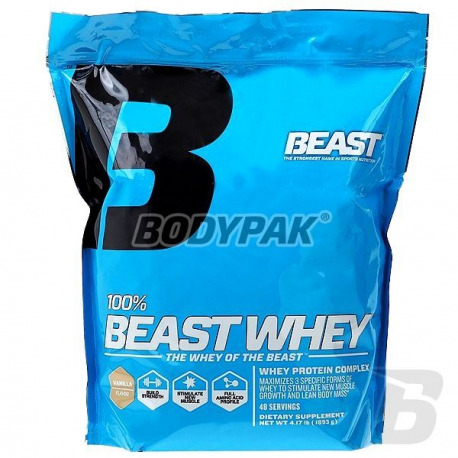 Included in the composition of the highest quality isolate, hydrolyzed whey protein, and protein concentrate make your muscles will be ready to increase at any time necessary. Through rich amino acid profile Beast Beast Nutrition 100% Whey provides all the nutrients, vitamins, minerals, and digestive enzymes. As a result, the body will be properly regenerated, and thus able to expand extra kilos of muscle. The biggest advantage of the product's Beast is for sure is that it helps repair damaged muscle fibers so that they become thicker, harder, and thus able to really strenuous. 1 serving 1-3 times a day. 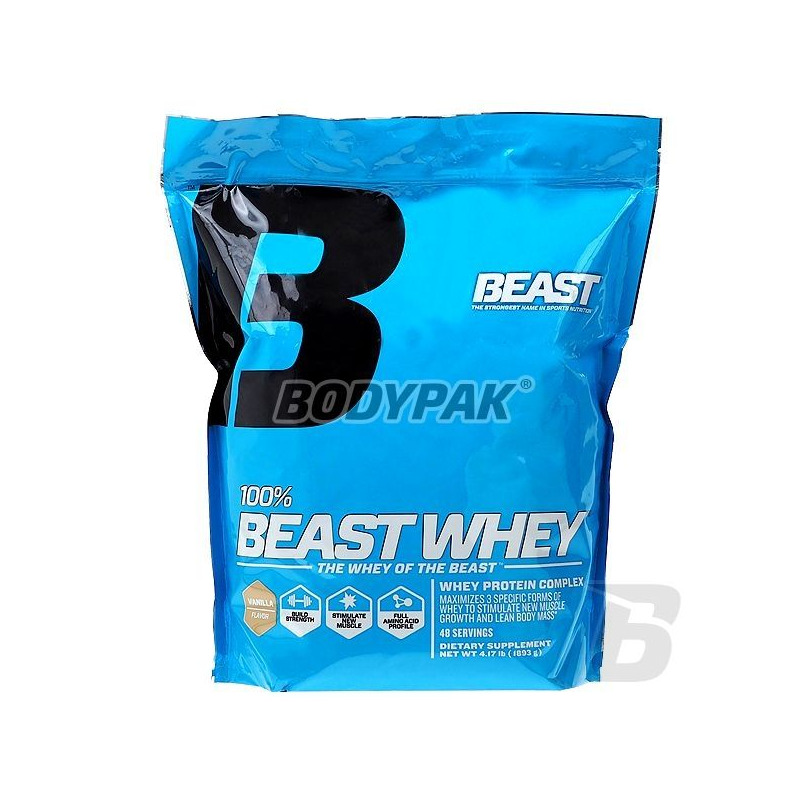 Ingredients: whey protein whey protein , whey protein isolate , l-leucine, l-isoleucine, l-valine, Mono and diglycerides, dipotassium phosphate, soy lecithin , sodium aluminosilicate, tocopherols), disodium phosphate, natural and artificial flavors, cellulose gum Salt, ascorbic acid, sucralose, acesulfame K, calcium gluconate, iron sulfate, zinc sulphate, beta carotene, vitamin E succinate, D-biotin, bromelain, papain, protease, d-glucitase, Calcium pantothenate, nicynamide, copper gluconate, cyanocobalamin, cholecalciferol, pyridoxine HCl, thiamine HCl, potassium iodide.